There will be a talk by Paul Goodwin in the kirk on Wednesday 28 November at 2.00pm. 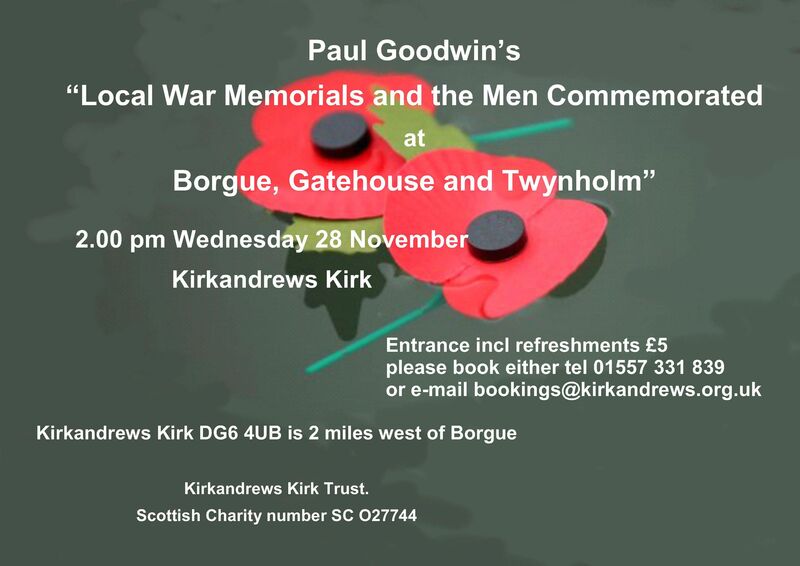 The subject of the talk is “Local War Memorials and the men commemorated in Borgue, Gatehouse and Twynholm”. This centenary year of the end of World War 1 is a good opportunity to discover the impact of the war on the local communities. The admission price of £5 includes refreshments. Please call (01557) 331839 or email bookings@kirkandrews.org.uk to book a place.